As you may know I’m a huge Korean lover. Their food and country is something that has always fascinate me since I was younger. MAC Cosmetics started a collaboration with the young Korean singer Lee Hi from the YG Label *screams*. 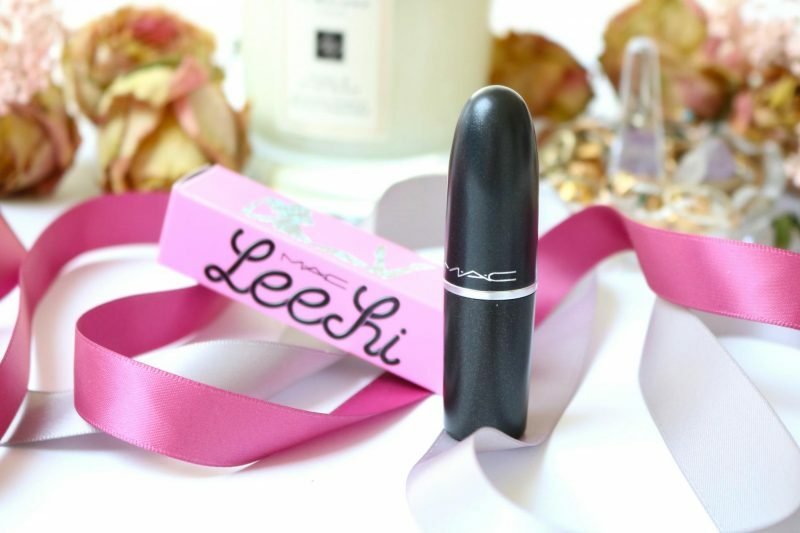 unfortunately she is not really active lately because YG is busy with their other big artist like Black Pink, but I’m happy to see that Lee Hi is getting some attention with this gorgeous MAC Matte lipstick. A while ago I received this lipstick during a beauty event and I was super thrilled to get this baby! Even the MAC person was like: uhhh girl why are you so excited? Hahah, it is great to see that K-Pop is taking over the world. Curious how it looks like? Let’s get started! Lee Hi is a young Korean singer who started her career during the TV Show K-Pop Star where they are looking for the next big singer. The entertainment industry in South-Korea is very big so within no time Lee Hi became a big person and released big hits like 1.2.3.4. In collaboration with MAC Cosmetics she released this limited edition deep red matte lipstick. The deep red stands for personality and her powder voice. This girl is special, no doubt that she is going to make it in this world. The shade is called Lee Hi, simple enough. With many collaborations they create a personalized cap for the lipstick, but this time it has the classic black packaging. 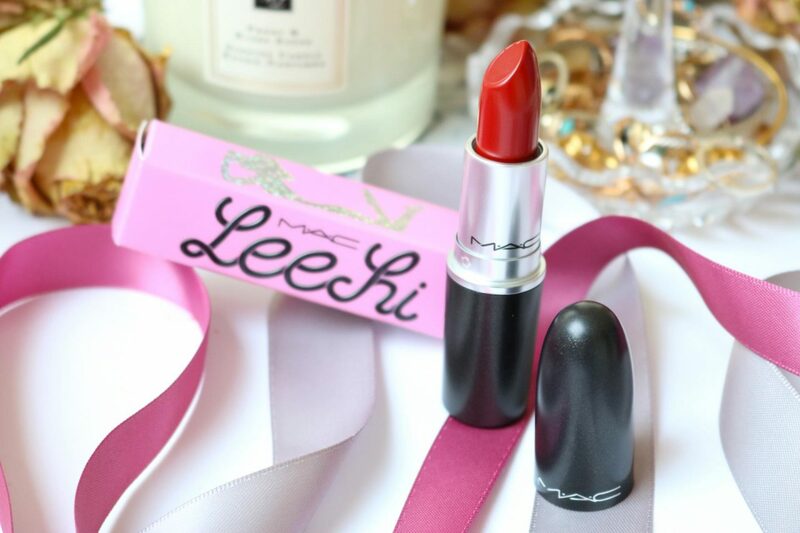 The box of the Lee Hi lipstick is something you have to keep when you purchase this lipstick. It makes it more personal and it looks super cute in your storage. 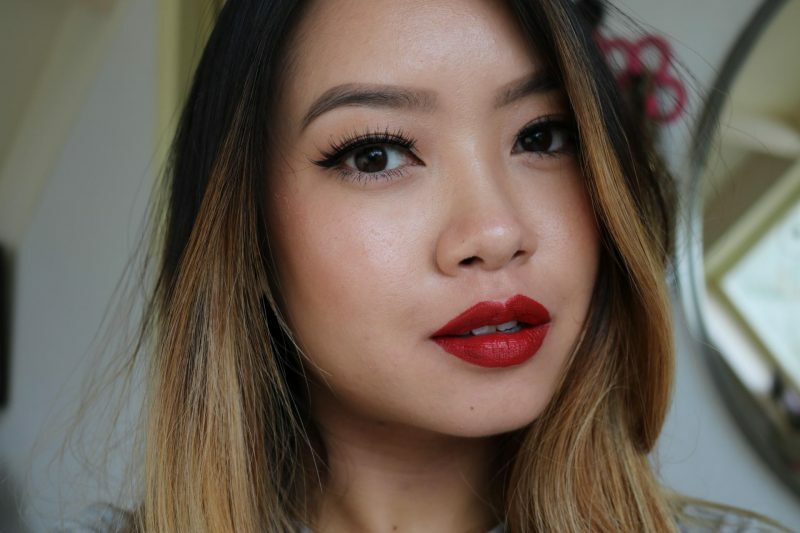 I love a great deep red shade, this would be perfect for everyday like literally everyday. Sometimes it is hard to find a red shade that suits your skintone, but I believe this one will look great on me. 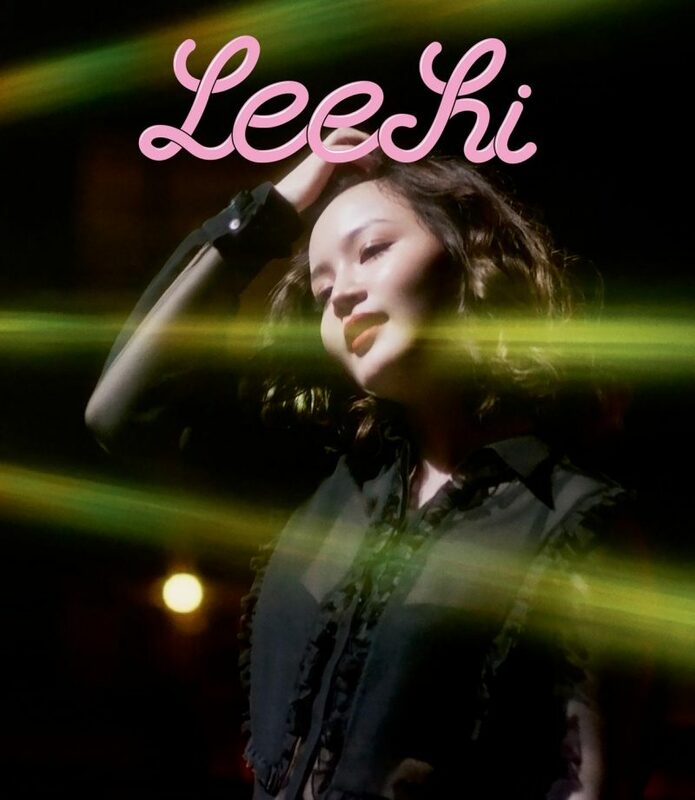 The box is pink with a holographic print of a girls silhouette and at the front the signature of Lee Hi. I love how much attention they put in the box instead of the cap, but it would be better for to match the box with the cap. For a very long time I kept the box in my drawer and eventually I threw it away because it is not always about the packaging, or not? The shade Lee Hi has a matte finish. Matte is my favorite finish of the entire lip collection of MAC Cosmetics because I prefer a long-lasting lipstick that doesn’t move. I own a few other finishes like amplified but I only use it for pictures when I don’t go outside. I will get in my dry lines and doesn’t stay forever on the lips. The fragrance of all the MAC lipsticks I own are fabulous. They smell like vanilla or something sweet, no weird chemical scent or something. It makes me want to apply multiple layers when I smell this. Even during the day after a few hours you can still notice the subtile vanilla scent. Don’t be afraid because the fragrance is not overpowering, it is really soft but it stays forever. Here you can see Lee Hi swatched on the back of my hand. 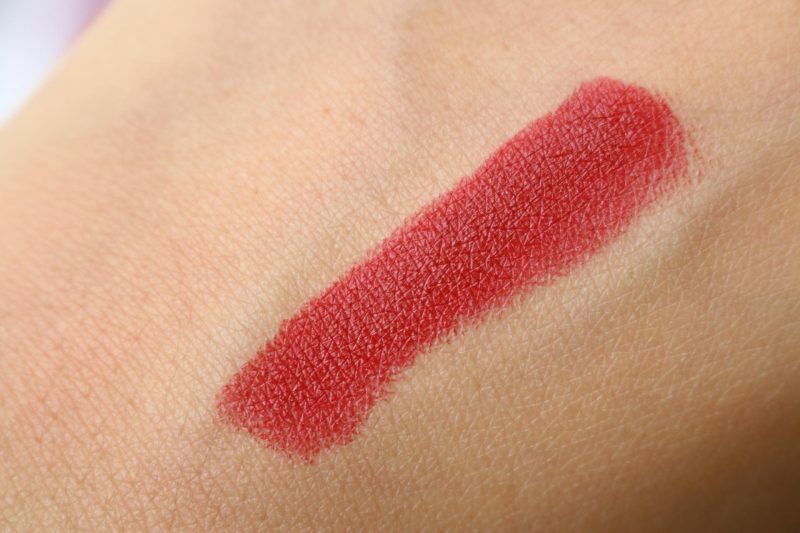 The bullet of the lipstick looks already gorgeous to me, but when I swatched it I was getting even more excited to try it out! With only one swipe this entire line was covered and looking smooth. 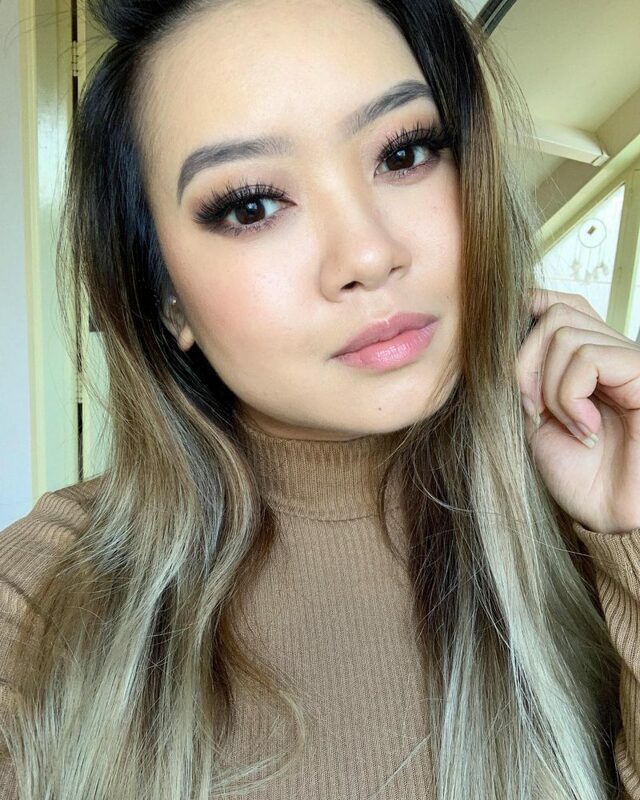 Sometimes I do get a bit nervous from matte lipsticks because I always struggle to line my lips with the bullet, especially by the matte finish. The matte finish creates a super long-lasting effect on my lips. I think I only had to re-apply it a little bit after I finished lunch and dinner. The inside of my lips is the only place that gets affected by my eating habit, the outside of my lips stays the same. When drinking from a cup or bottle I do see that it will transfer but not that crazy that you have to re-apply it after every zip. Sometimes after wearing your lipstick and re-applying the whole day, it might look very dry at the end of the day. With the Lee Hi shade I don’t have this problem, I was surprised when I wanted to take o my makeup before heading to bed. 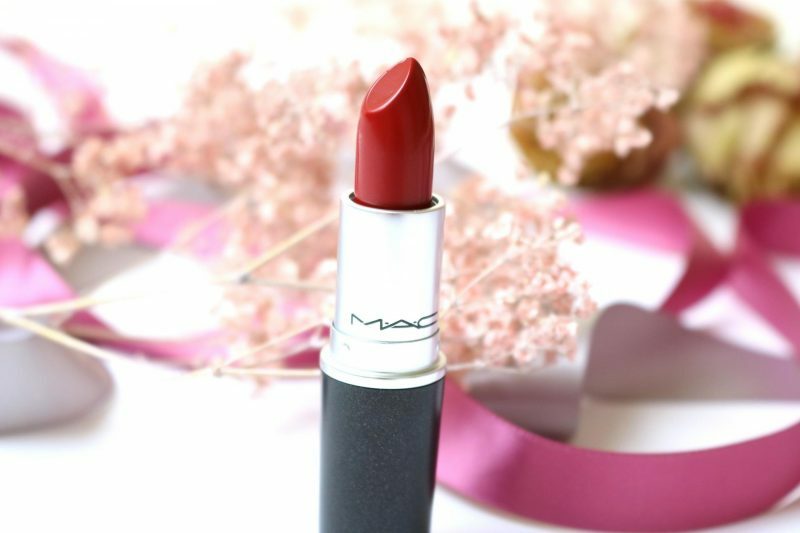 Maybe this is your perfect shade when you go out! I’m really happy with this Lee Hi shade. It’s been a while since I used a bullet lipstick because I’ve been addicted to liquid lipsticks ever since they became available. The MAC Cosmetics Lee Hi Matte Lipstick reminded me how great bullet lipsticks are and that they are timeless cosmetics items. 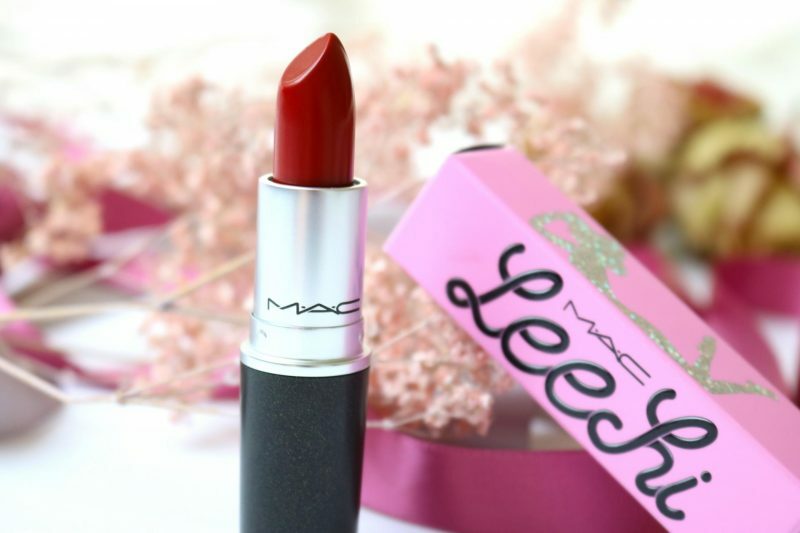 It made me even more excited when I found out that MAC collaborated with one of my favorite K-Pop singers to create this beautiful deep red shade. Red is a color that makes me a little bit scared. The first thing that comes in my mind is: oh no I bet it wil get in my fine lines around the lips or it will get on my teeth. No, both no! This shade makes me look sophisticated, classic like an independent lady. My colleagues were giving me compliment all the time when I used this shade. It stays forever on my lips and I only have to re-apply it twice a day after I had lunch or dinner. It doesn’t dry out my lips but if you have dry or cracked lips of yourself, make sure to use a lip night mask or a lip balm before applying this matte lipstick. I can’t come up with anything why you shouldn’t get this pretty red shade. Are you giving it a try before it’s gone? Get your hands on this limited edition! 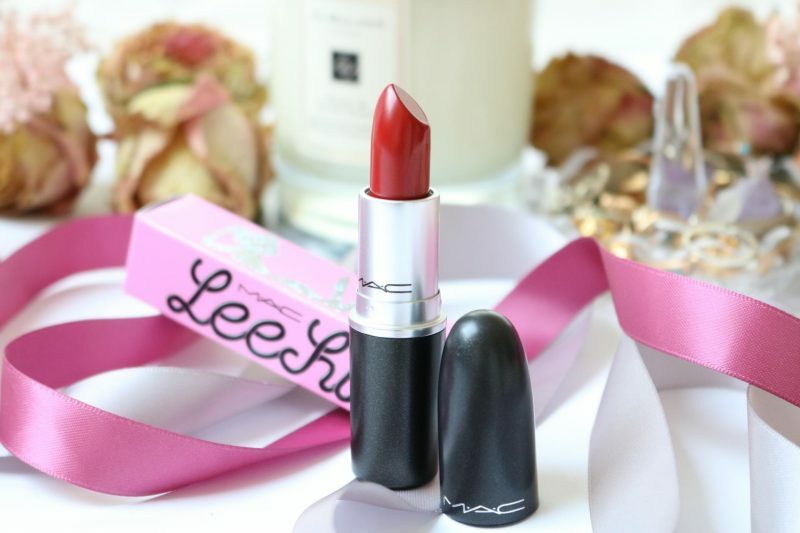 Get your Lee Hi lipstick for €19,50 on the official MAC webshop. Damn I love this color!! What a gorgeous colour. I love it!